Jesus said, "Come away with me to a Quiet Place all by yourselves and rest for a while.”(Mark 6:31) … Welcome to the Quiet Place! Jesus is waiting for you. § Thy Will Be Done! Like the disciples, our flesh is weak and sometimes our eyes get heavy especially when we are praying to discern God’s will for our lives. It is certainly a challenge of faith. There are certain faith challenges that all Christians face regardless of our tradition or denomination. The most basic of these is discerning and obeying the Will of God in our lives. Not just God’s “declared moral will” and precepts as promulgated in the Word of God, but God’s specific will for each of us individually. In order to proceed further we should all be aware that there are three aspects of the Will of God that need to be understood: 1) His Sovereign or Hidden Will, 2) His Perceptive or Declared Will, and, 3) His Permissive or Perfect Will. Regarding the first aspect, the Lord has told us that “… My ways are not your ways , nor your thoughts My thoughts”. Unless the Lord reveals certain aspects of His Sovereign Will, it is hidden from us. This expression of God’s will is what God has decreed to happen in His creation regardless of what we or any created being may think, and is assured to happen as decreed. We humans can only view His Sovereign will in retrospect and, then, only when He reveals it to us. His Perceptive or Declared Will, on the contrary, does not always occur and sometimes appears to diverge from His Sovereign Will. We are not responsible to fulfill God’s sovereign decree. But we are responsible to obey His declared or revealed will, which is plainly laid out for us in Scripture. This expression of His Will that is revealed is called “His Perceptive Will” or His “Declared Will” and, it is binding for us who beleive, in context with its conditions and qualifiers as found in scripture’. This is the second aspect of God’s Will. It is this Will, which requires compliance from every member of a Christian community, and is the basic foundation for Judaeo-Christian moral and community precepts. The third aspect of God’s will that we see in the Bible is God’s Permissive or Perfect Will. This aspect of God’s Will is more oriented to that obedience to His will which gives God pleasure It is also called God’s Perfect Will because it is intended to bring forth the perfection of in those who respond to His Loving intent. In that sense, it results in what pleases God the Most. It is NOT, what some may think, as a permission to sin. No it is merely an expression that God has a “perfect” plan for everyone’s lives but our circumstances in life do not always permit an easy transition to that “perfect” plan, so through prayer and spiritual counsel the Lord will “permit” a gradual transition to His perfect plan for you – but it will involve a personal struggle which the Lord uses to bring you to the perfection He desires. (see #The Two Wills of God). The basic approach of the average Christian man or woman to living out God’s will in their lives is to be submissive to His Declared will. That is, to be faithful to God’s Word and His Commandments to love God and our neighbor, avoid temptation, attend worship regularly, contribute to your church and community through your sharing of your time, your talents and your treasure. And, that, through obedience to the precepts, you stay within that frame-work, you will be complying with God’s moral will for your life. In general, such an approach will keep you within the bounds of God’s Righteousness and permit us to lead a life that reflects the virtues of the life of Jesus that is in us through baptism. What is not usually understood is that keeping the moral Law and the general will of God for Christian society does not necessarily enable us to comply with the Lord’s specific or perfect will for each of us personally in this life. While keeping God’s Declared Will may suffice as far as satisfying moral justice, we also need to be motivated by LOVE (agape) and His permissive will as well. That is, to do everything for God and your fellow human beings motivated by Love (agape) and not by coercion or obligation, because that is what is most pleasing to The Father. Sometimes this confronts us with a dilemma between fulfilling God’s Declared will and His Perfect or individual will for us, The dilemma we are faced with is how can we fulfill two or more “good” things we are being called to do in order to please His personal will for us. To do that, we need to have an active personal relationship with Jesus and a Holy-Spirit-empowered awareness to enable us, not only to maintain that relationship through prayer, but also to discern and be obedient to the individual directives the Lord provides us through our interactive relationship with Him. If we do not have this level of spiritual awareness we cannot fully function as disciples, because disciples cannot function properly unless they are able to hear the “Shepherd’s” specific voice for us as individuals and obey it (John 10:27)! We need to understand that the Lord has created each of us not only to live morally and in fellowship in our communities by loving one another and doing good, but that He also has a unique calling and purpose for each of us to be His partners in bringing forth His Kingdom not only in the community but also in the world at large. This unique calling and purpose is also God’s will but it is a “permissive” or “non-coercive will”. That is, we are free to accept this type of specific calling without any condemnation or sin. Such is the call to discipleship. The Lord’s reason for this is made clear in scripture; He wants to partner with us in certain missions He has for us as individuals. But in order for us to be His partners as disciples we must freely accept this level of calling with out any coercion or compulsion – we must act out of a pure “agape” or selfless Love so He, through His Holy Spirit can work His purposes in us and through us – not just around us. When Jesus was to be baptized by John, and John resisted, He told John that it had to be thus in order that the Father’s Righteous Will for Him personally be fulfilled (Matt.3:15). Even at that point in the initiation of His Ministry, He was accepting the initiation into Cup of God’s Will for which He had been destined – He was always free during His walk in Ministry to move away from taking the Cup but, because He was free to do so, He gave Himself totally to the Father out of “agape” Love which is the only way His self-sacrifice would have been acceptable before God! That is why, when Jesus told His disciples what was in store for Him (Matt.16:22-23), Peter said, “… it shall not be so with you, Lord”, that Jesus replied, “depart from me Satan”, for instead of helping Him accept the Cup of God’s will, Peter was tempting Him to walk away from His calling! I could go on to list others who likewise received their calling to God’s Perfect Will, such as Joseph, Mary’s husband, Peter, Paul, and others who are clearly delineated in God’s Word. What is clear is that each of these received an individual calling and each received their calling by denying their own self-will and taking up the “Cup” of the Father’s Will for them. 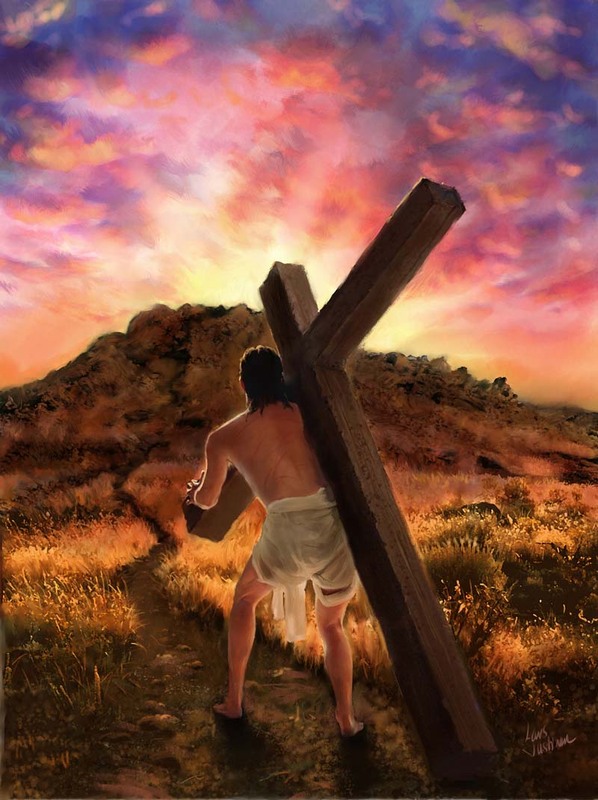 In essence, they took up the cross of self-denial so that God’s will could be fulfilled in their lives through the Power of the Holy Spirit that dwelt in them! That is what true discipleship entails! Now, the Lord is asking you to quiet your hearts and listen to His Voice and see if He is knocking at your door. If He is, then open you heart to Him in prayer and receive Him as your Lord and teacher by deciding to follow Him and Him alone! Then and only Then will His Perfect Will be truly and fully fulfilled in Your Life! Praised Be His Holy Name! 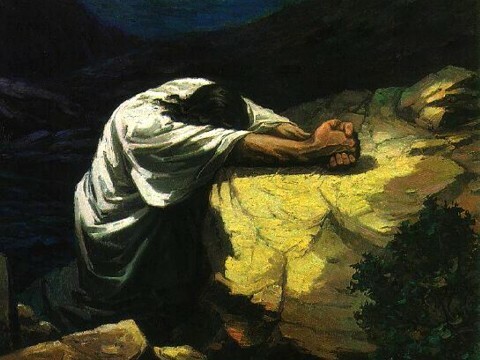 Then you will call upon me and come and pray to me, and I will hear you. Newcomer Pilgrims click on the [1.ABOUT] tab at the top to orient themselves to this blog. (© B.R.Timeo and Bartimaeus' Quiet Place, [2008-2014]) !!! DON'T FORGET !!! Click on the [HOME] tab TO GO TO MOST CURRENT POST !!! § Has Jesus Arisen in your Hearts? § Christ in us, The Hope of Glory! § Do you Not Know…? § Are The Gates of Hell Upon us? © Bartimaeus, BRTimeo and quietplace4prayer, [2003-2014]. Unauthorized use and/or duplication of this material without express and written permission from this blog’s author and/or owner is strictly prohibited. Excerpts and links may be used, provided that full and clear credit is given to Bartimeaus or BRTimeo and quietplace4prayer with appropriate and specific direction to the original content.